Drivers who are concerned about their well-being and that of other drivers on the road often refrain from browsing their phones and texting. However, the urge to whip out our compact devices just to reply to a text can often lead to distractions while driving. If you’re not careful, these distractions can lead to fatal accidents. At the very least, you can cause costly or occasionally, irreparable damage to your car that can hamper its resale value if you ever decide to sell your car in Abu Dhabi. In short, texting and driving is a dangerous combination, but if you abide by these common-sense tips while on the road, you can assume a more responsible role not just for yourself, but for other drivers too. If you keep your phone at an arm’s length while you try to sleep, you’ll obviously get distracted, potentially taking away hours from your sleep time by browsing your phone at night. Similarly, expect the same distractions if you keep your phone at an arm’s length while driving. 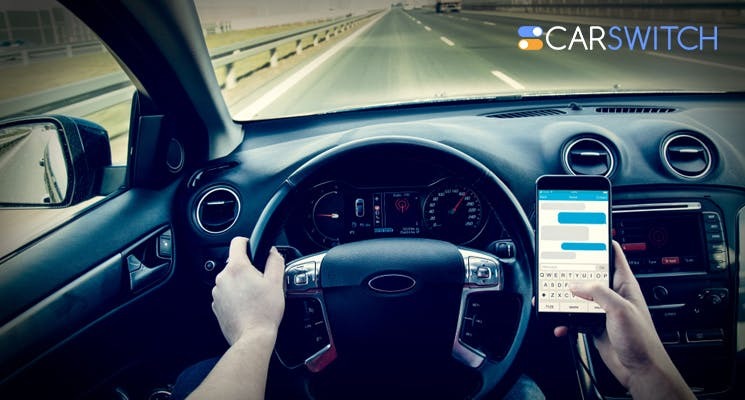 If you want to maintain a consistent ‘line of sight’ between your eyes and the road, it is considered a prudent practice if you store your phone in a place when your hands will be unable to reach it. Back of the car sounds like a great idea and if you think you can take it even further, store it in the trunk. All modern-day smartphones are equipped with features that allow their owners to toggle their audio profiles to ‘ringing’ or ‘silent’. If you don’t have a habit of silencing your phone while driving, then expect your mind to divert to the sound of your phone when it rings during a text notification. When this happens, you’ll likely want to see who sent that message and as we’ve stated before, texting and driving is a lethal combination. Before hopping in your car, make sure to toggle the ‘silent’ option of your phone. This way, you’ll have a smooth journey and you can always check your device for unread texts after you’ve parked at the first checkpoint. Smartphones would never attain the popularity they do now have it not been for the innumerable apps available to download today. You can use these apps to your advantage and lock down access to your phone while you are driving. You might not be able to access your phone throughout the duration of the drive, but you will still be able to make emergency calls if trouble ever comes peeping out from the corner. Once you’ve reached your destination, you can manually disable the app and access your unread texts while replying to them accordingly. If you abide by these three tips, you’ll ensure a safer journey from Point A to Point B. To recap, silence your phone, use safety driving apps and for extreme measures, store the phone in the truck to prevent any unforeseen disasters. Want to sell your car in Abu Dhabi or buy one? Log onto CarSwitch.com as we deal in pre-inspected new and used cars in Abu Dhabi and make the car buying and selling process easier for you! You need to be vigilant to avoid car theft in the UAE. A good many car. The UAE is a great place for off-roaders as a lot of cities are built on.